Alex Iwobi and Henrikh Mkhitaryan have been among the regulars in the starting eleven of Arsenal but it seems like change of tactics and formation have made them get benched. 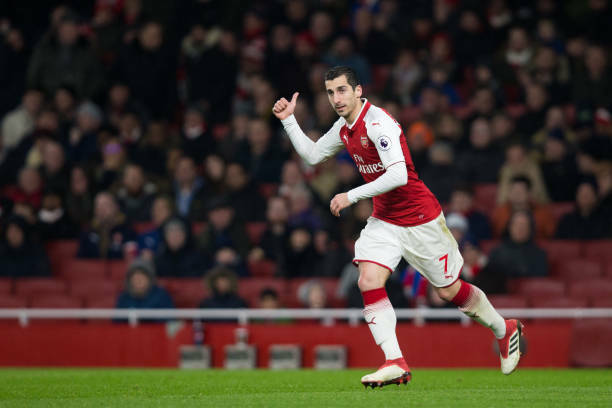 Alex Iwobi and Henrikh Mkhitaryan have been pretty impressive this season because they have both managed to get nine goals and eight assists all together in the Premier League this season. These two were often getting selected in the starting eleven at the start of the season and the time from February to March but they have stopped getting enough game time as in the past. For example, they did not start in these important matches against Manchester United, Rennes (H) and now the recent win over Napoli. Alex Iwobi did start in the Newcastle United match but this was because Aubameyang had temperature hence starting on the bench and the Nigerian international was subbed off early in the second half. Unai Emery also said that Aubameyang was to start in the Everton game but he wasn’t feeling well hence him including Mkhitaryan in the starting eleven when it wasn’t in his plans but there’s a simple good reason these two aren’t getting enough game time as in the past. Arsenal has in the last few weeks mostly been using the 3-4-1-2 formation so that Aubameyang and Lacazette could both play in their favourite striking positions while Mesut Ozil plays as a central attacking midfielder, this formation then sees the gunners rely on wingbacks for attacking via the flanks. So this sees the gunners start matches with no wingers and rely on the wingbacks to move the ball on the flanks, this is a clear indication that Unai Emery doesn’t trust his wingers because why would he use a formation that doesn’t utilize wingers or he maybe does this so that both Aubameyang and Lacazette play as strikers together. Since Unai Emery seems to have liked this formation, then Henrikh Mkhitaryan and Alex Iwobi could keep coming into matches as substitutes since the formation doesn’t require wingers.